The statistics are staggering. 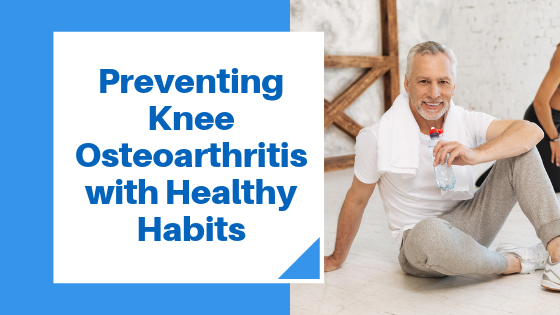 Osteoarthritis (wear and tear on the knee that gradually tears down the cartilage), is effecting an estimated 10 million Americans, making it one of the main causes of disability in the United States. The most common cause is obesity, and as a result, Americans over the age of 50 will together lose the equivalent of 86 million healthy years of life. Researchers at Brigham and Women’s Hospital in Boston, Massachusetts have studied the causes of the problem. They have investigated the potential gains in quality and quantity of life that can be achieved to avert losses due to obesity and knee OA. Their findings were published in a recent issue of Annals of Internal Medicine. The rise of knee osteoarthritis among Americans is in direct proportion to the rise in obesity and longer life expectancy in the United States. Obesity and knee OA are among the most frequent chronic conditions in older Americans. How that translates into years of healthy life lost has not been accurately estimated. Dr. Losina and colleagues used a mathematical simulation model to assemble national data on the occurrence of knee OA and obesity. They also included other conditions such as coronary heart disease, diabetes, cancer and chronic lung disease. Their analysis examines the contribution of both obesity and knee OA to losses in quantity and quality of life. It also evaluates how those losses are distributed among racial and ethnic groups in the United States. It’s an obvious formula. To lose weight, you need a combination of less calories taken in through food and more calories used up. Increasing physical activity and at the same time creating a healthier diet are the keys to jump start making a change. Simply cutting out sources of empty calories can result in weight loss. For instance, replace all soda with water. If you drink 12 ounces of soda a day—just one can—making this change will result in a loss of more than 12 pounds in a year. Increase your physical activity by 30 minutes a day—just by walking—and you may be able to double the amount of that weight loss. If you are feeling tired and unwell because you are overweight, the more smart changes you make, the greater the weight loss you will achieve. Replace full-fat milk, yogurt and cottage cheese with fat-free versions. This also saves you from eating unhealthy fats as well as extra calories. Replace one dessert per day with a serving of any fresh fruit. Replace one starch, such as a slice of bread or a serving of potatoes, with a salad and low calorie, fat-free dressing. Variety in your choices of fruit and vegetables gives a wider range of vitamins, minerals and other nutrients. A color code is the key. Eat dark green vegetables, such as broccoli, kale, and other dark leafy greens; orange vegetables, such as carrots, sweet potatoes, pumpkin and winter squash; and red vegetables like red bell peppers, beets and tomatoes. Eat brown rice instead of white rice, and oatmeal instead of processed cereals. Include foods that contain fiber such as fruits, vegetables, beans and whole grains. Choose lean cuts of meat and poultry, and remove skin from poultry and trim away excess at before cooking. Smaller portions equal fewer calories, so pay attention to portion sizes, especially at restaurants. Instead of using butter and salt, season your food with lemon juice, herbs and spices. When you go grocery shopping, plan ahead by buying a variety of nutrient-rich foods for meals and snacks throughout the week. When making a sandwich for lunch, use whole-grain bread or a whole-grain wrap rather than white bread for more fiber. When eating out, opt for steamed, grilled or broiled dishes instead of ordering fried or sautéed choices. When you’ll be out and need to take along snacks, choose fresh fruit, cut-up vegetables, string cheese sticks or a handful of unsalted nuts; avoid less healthful snack choices like chips. The older you get, the harder it is to maintain the same weight and even more difficult to lose weight. As you age, weight gain can result from eating the same number of calories, especially if you’re exercising less. Talk to your doctor about reducing your daily caloric intake, to maintain your current weight, or better yet, to lose weight. By meeting the challenge of consuming fewer calories, you can enjoy a longer and healthier life. September is Fall Prevention month but lets be mindful about preventing falls year-round. Hundreds of thousands of hip and knee replacements are performed in this country every year….